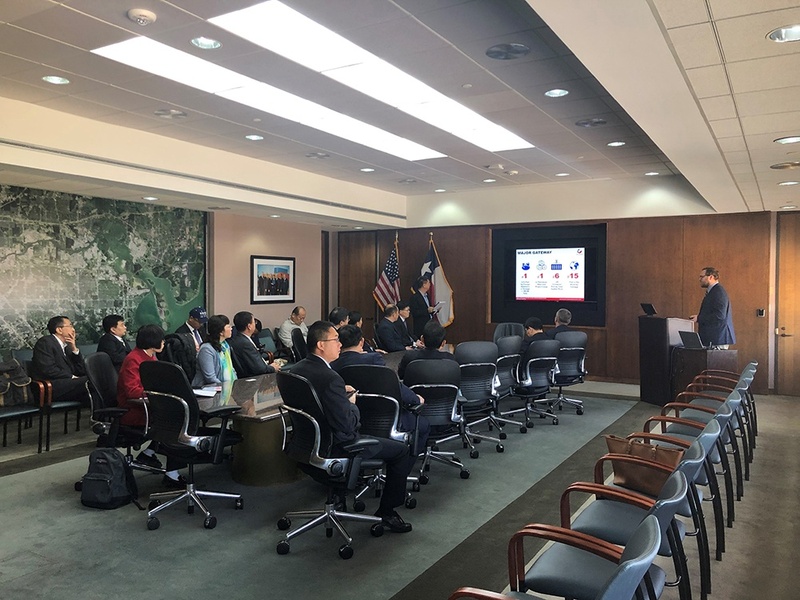 Economist Jordan Frisby provided background of the port’s terminals and shared information about the Houston region’s foreign trade zone, FTZ 84, which is sponsored and maintained by Port Houston. Frisby also noted the port’s large economic impact, providing over 50,000 direct jobs in the region. “We are a busy port by global standards,” said Frisby. Port Houston is an emerging gateway for the East Asia container trade into Texas and neighboring states, a lane that has been dominated by Southern California ports for decades. Key commodities in the Port Houston – China container trade include plastics, machinery and beverages. Houston also provides a strategic location for warehousing and distribution centers for companies looking for access to local Texas markets.